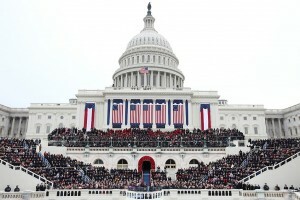 Blog, The Presidential Inauguration, Washington D.C. The Presidential Inauguration is a ceremony that dates back to George Washington. Did you know that inauguration day wasn’t always on January 20th? It used to be held on March 4th. So, why the long wait? Well, back before all the technological wonders of today, it used to take a tremendous amount of time for the President Elect to get his administration together. Once it was discovered that it would no longer take as long, America decided on a new date, which is the one we use today. And, not all inaugurations since the change have actually been on January 20th. President Barack Obama was sworn in as our President on January 21st, 2013. This is because the 20th fell on a Sunday. The inauguration procedure is based more on tradition than the constitution. The Constitution only states that the President must take the oath of office. The oath is the very first thing that happens on inauguration day. Though it is not the President’s. Before the President Elect is sworn in the Vice President elect must be sworn in. Then, the President is sworn in. After all the oaths are taken, the new President will address the nation. As the former President exits the White House, the new President has an inaugural luncheon, followed by the famous Inaugural Parade. The very last thing that happens on the day of inauguration is the Inaugural ball. This year, this historical day falls on a Friday. This is the day that we, as Americans, welcome Donald J. Trump as our 45th President. This will be a very educational day, which only comes once every four years. 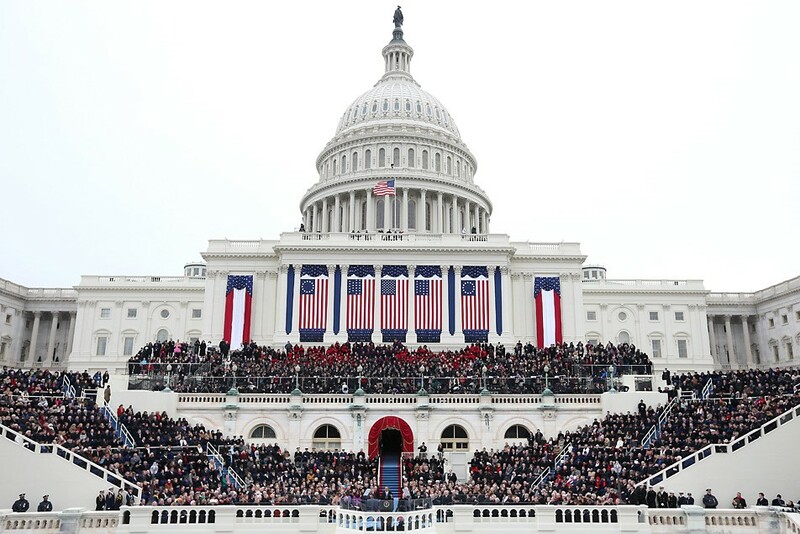 Here at Educational Travel Consultants, we have several groups attending the inauguration. We always get great feedback, the wonder in a child’s eye as they watch hope and dreams come true as the President is sworn in to do the most amazing job in the world is. Every Inauguration is different, but very important. For the schools that are attending the 2017 inauguration, seem to be excited and hopeful for their trip. Student travel groups studying History. Government or Social Studies may want to consider a trip to Washington D.C. in January 2013 to see the Presidential Inauguration. This once-in-a-lifetime experience will likely change their outlook on U.S. government and the democratic process. In addition to attending the Presidential Inauguration, student groups can also tour Washington D.C. and surrounding areas. The tour can focus on specific sites or eras in American history. Our nation’s capital is already beginning the planning process for the inauguration ceremony, presidential speech and parade. The sooner trip leaders make a commitment to attending this event, the better. This event fills up the city, hotels and restaurants very rapidly. Imagine a group of students witnessing one of the most important events in world history, mingling with the public, and watching government representatives and dignitaries in their official roles. Students will gain valuable insight into three branches of government and the way in which each interacts to form a democracy. Suggested travel dates are January 20-22, 2013. Students and teachers will travel on a 3-day weekend, since the Inauguration is actually a federal holiday and will most likely coincide with Martin Luther King Day. The Twentieth Amendment specifies that the President of the United States must be sworn in by Noon on January 20th. In 2013, this date falls on a Sunday. Though the date is not final, in the past when this has happened, the president is sworn in during a private ceremony on that Sunday, followed by a public ceremony on the Monday following. Expectations are this will occur on January 21, 2013. The student trip to Washington D.C. will begin with a tour of sites relevant to history or social studies on Sunday, while the nation and Washington D.C. prepares for the ceremony. Some sites on an itinerary may include: U.S. Capitol and Supreme Court, Arlington National Cemetery, Smithsonian Museum(s), or other locations within the Washington D.C. metro area. Teachers are encouraged to prepare students by selecting sites that parallel their curricular objectives. A licensed Washington D.C. guide will accompany the group and provide interesting facts, historical information and stories related to sites visited. The President of the United Sates takes his official oath in assuming the highest office in the land. Traditionally, this occurs on the steps of the U.S. Capitol building. Students will join the crowd that gathers to commemorate this historic occasion. For many students, it will be their only visit to Washington D.C. to witness and celebrate this occasion. The new President of the United States will make his acceptance speech immediately following the swearing in ceremony. In the past, speeches have lasted anywhere from 15-30 minutes or more. Students, legislators and the general public will learn about the new President’s agenda for the next four years and how he will meet potential challenges. The speech will also include a brief overview his policy on domestic and foreign issues. The Armed Forces Inaugural Committee organizes and executes the Inauguration parade following the Swearing in Ceremony. The armed forces assemble and march to honor their new commander in chief. Prior to the parade, the President will attend a luncheon given by the Joint Congressional Committee. Students can expect to see all branches of the armed services represented in the Inaugural Parade – wearing their best dress uniforms. Students will gather along parade routes with the public where they will see the armed forces in all their finery. Parade participants include marching bands, musical salutes, color guards and more. More touring for student groups follows the evening and day after Inauguration events. Some recommended activities can include an Illuminated Tour of Memorials and Monuments, Ford’s Theatre, Mount Vernon, Washington Cathedral, the National Zoo, or other places requested by teachers. The Presidential Inauguration only occurs once every four years (except in years when the President has passed on due to health, assassination, or impeachment). This is a great opportunity for students of American History to see democracy in action, and witness history in the making. In order to make certain student groups have tickets and access to desired government sites in Washington D.C., trip leaders must plan well in advance. Request a quote for a student tour or email info@educationaltravelconsultants.com.